In January 2018, GS1 launched the idea of creating a new standard for barcodes: the GS1 URI (Uniform Resouce Identifier). This new code is intended to replace the multiple codes now present on product packaging (EAN code for date, price and name, QR code for fidelity rewards or authentication, etc) by printing a QR code with an increased database available with a simple scan on a dedicated URL webpage. A new GS1 publication about this project is expected at the end of June. This responds to the rising consumer demand for more transparency about the products they buy, by allowing them to access a wide range of data and links with a simple scan; and also for better control (especially in the food sector) and simplification of the traceability process. Although this new standard will imply major equipment updates, especially for supermarkets to equip their counters with the right scanners, it is believed that it will have a positive benefit for all actors. As regards security, especially for the food industry, industrials and supermarkets can block products as soon as a problem is detected by the scanners (out-of-date product, submitted to a recall, etc) and take quicker actions. For consumers, this will allow greater access to information about the product (origin, date, ingredients and possible allergens, etc) and engage more with the brands. These codes will also be a great means for the companies to obtain better information about the purchasing habits of their customers and be used for improved customer experience and marketing purposes. The GS1 URI standard will also mean a great change in the coding and marking industry as companies will have to seek for equipment supporting QR code formats, and marking with great resolution resistant codes, in order to avoid any scanning problem along the supply chain. 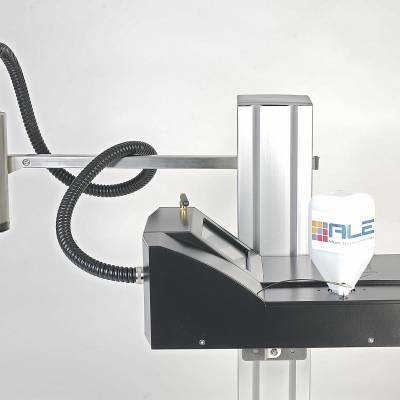 ALE high-resolution piezo inkjet printers are very suitable solutions when it comes to marking codes in high-resolution on a variety of surfaces. 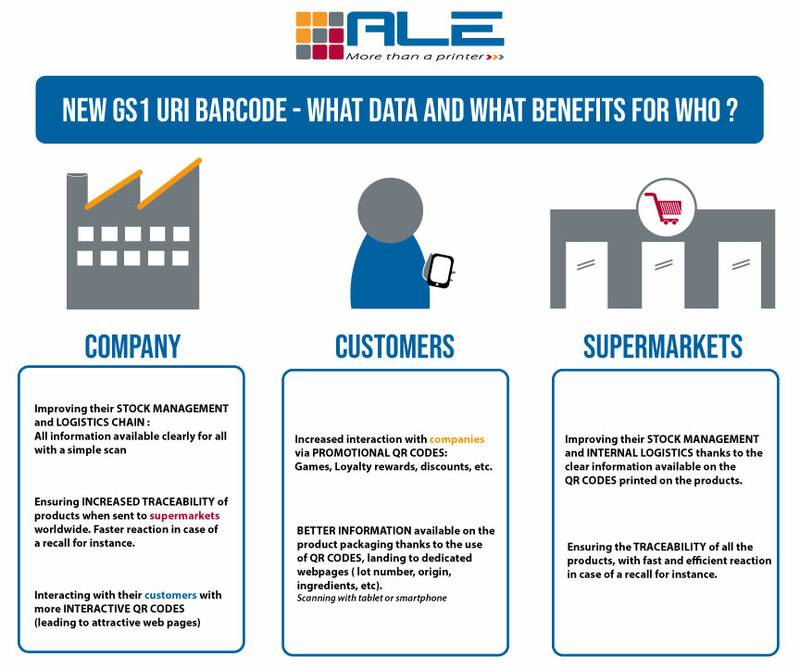 With ALE printers, you will be able to easily meet with the new GS1 URI standards with quality barcodes. 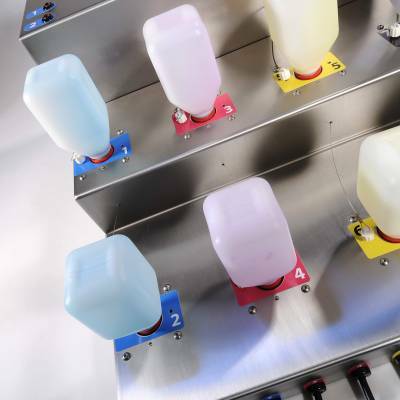 Our machines are also able to switch from 1 and 2 D barcodes to QR codes, meaning that customers won’t have to replace their existing Equipment to fulfill this new norm if it comes into place. 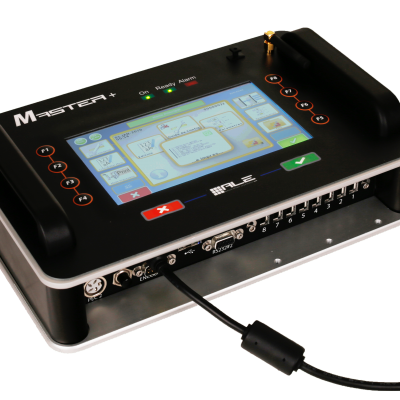 ALE printers are capable of printing with a constant resolution of 180 Dpi, allowing industrials to high-quality codes: high GS1 grades obtained on both white and brown cardboard. The contrast and density of prints is also adjustable through our powerful CodeX software to guarantee 100% readable barcodes with sharp contrast on every substrate. 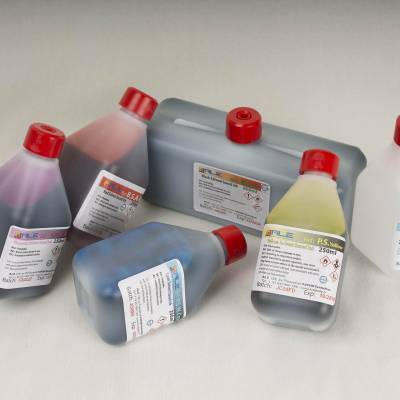 ALE inks are also very resistant and they do not disappear in the surface of the product, for extended code liftetime. We have developed internally a powerful and comprehensive Design & Print software (CodeX) that supports QR codes, which is essential for this new GS1 standard. It is also fully compatible with the Nicelabel suite, meaning it can be integrated with no problem in your existing business network. 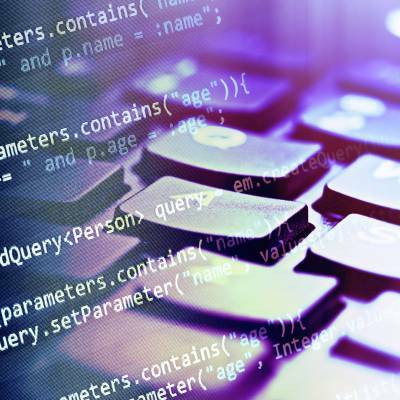 Furthermore, the codes created with this software can be adjusted (size, error correction, etc) to ensure the correct readability of the code printed. 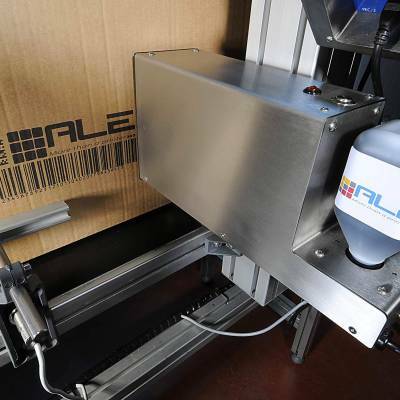 Finally, ALE printers appear to be the best solution for identifying products with the GS1 URI as they are really flexible: they can print from 0.7 mm (small packaging) to 576 mm with a single controller and they are all available for porous or non-porous surfaces for industrials to mark on a wide range of surfaces.